Through 4/04 Stop & Shop has Bumble Bee Seasoned Tuna and Tuna Salad Pouches on sale for just $1.00 each! 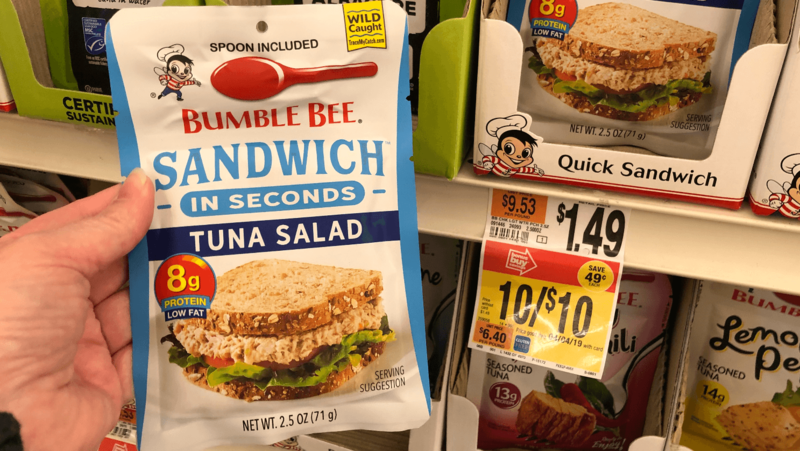 We have that really great $1/2 Bumble Bee 2.5 oz Seasoned Tuna or Tuna Salad pouches any variety, coupon available from the Regional 3/17 Smart Source. Pick up 2 and after coupon pay just $0.50 each! Awesome!